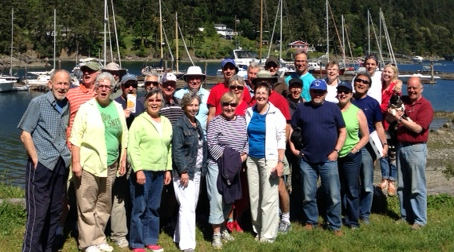 30 Participants in 2nd Annual AMIB Fun/Sailing Race - May 1st. A record 30 enthusiastic sailors, crew and visitors participated in AMIB's 2nd Fun/Sailing Race in Plumper Sound, ending at the Pt. Browning Pub. Photos by Allen Slade here. 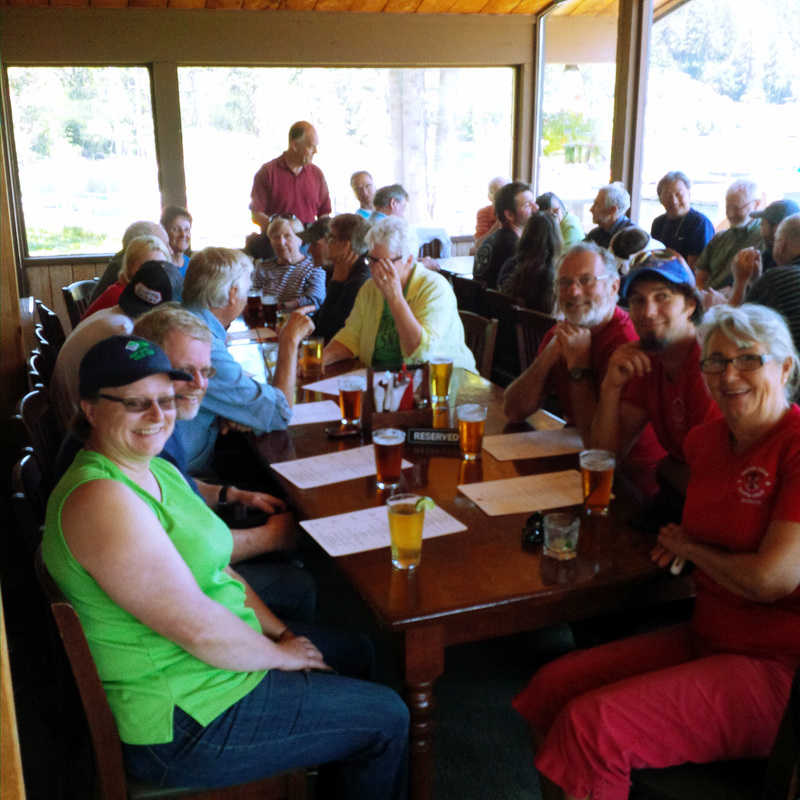 A special thank you to the Port Browning Marina and Pub for accomodating us at the docks and for lunch. 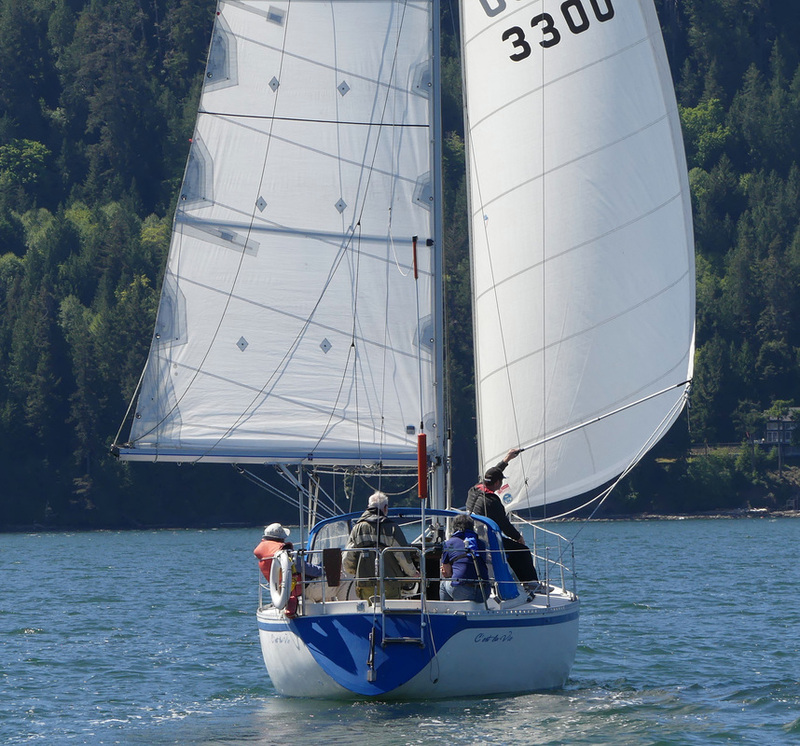 Thanks to Allen Slade for being the starter and photographer, to Carl Bunnin for helping coordinate the race, and a special thanks to all of the visitors and crew who joined us. Click here to view photo gallery of the race by Allen Slade. Notes: Judy Kiyooka and Tanya Russell arrived by ferry to join us at the Pt. Browning Pub. Toon Town, the undisputed head of the class, graciously let the other boats "fight" it out to the finish line. Additional photo gallery by Allen Slade here. 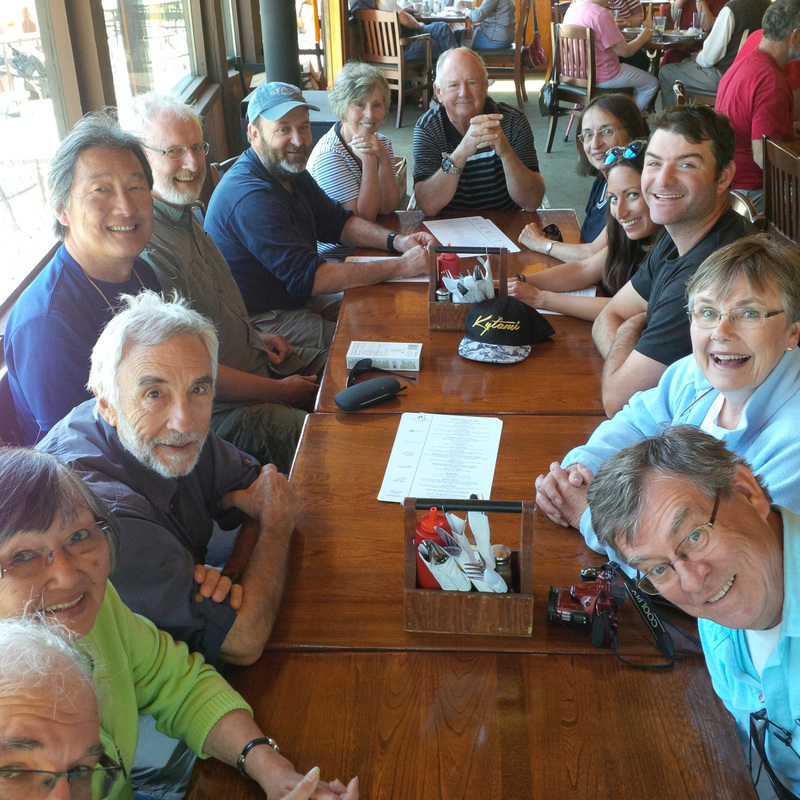 "We had a chance to share in the amazing sea vistas of the Gulf Islands, try a sailing experience, have a friendly racing competition, and enjoy the camaraderie of fellow boaters and meet new friends over lunch." 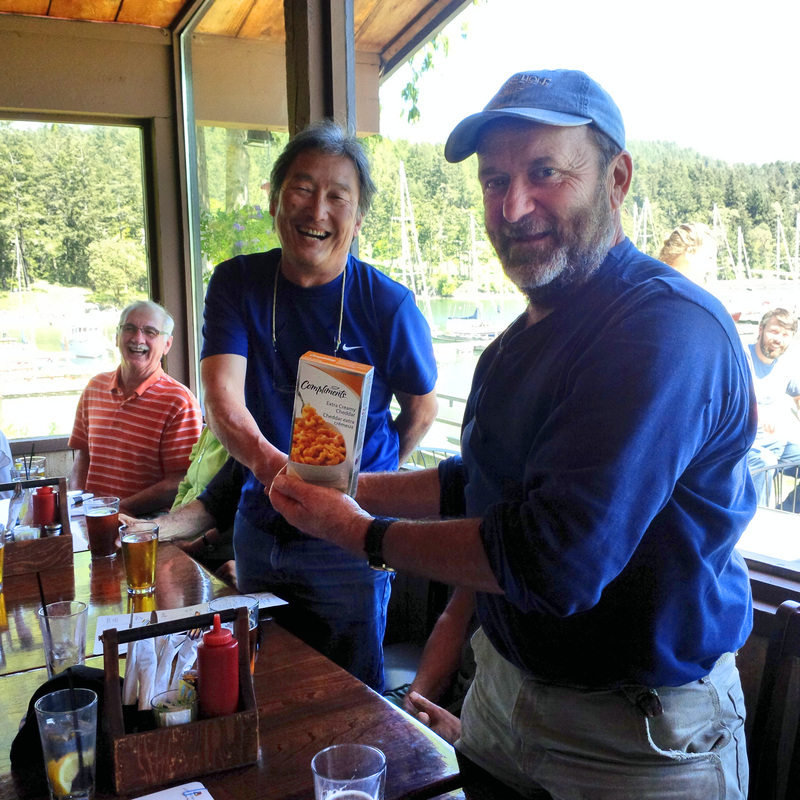 "It was great to participate in another Fun Sailing race. This year the weather was picture perfect. 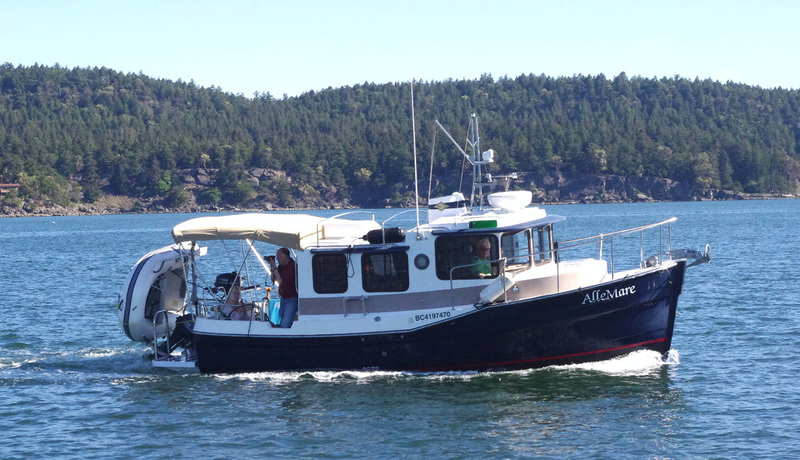 Thanks to our starting boat M/V AlleMare ( Allen and Mary ) who did a great job " tooting their own horn". 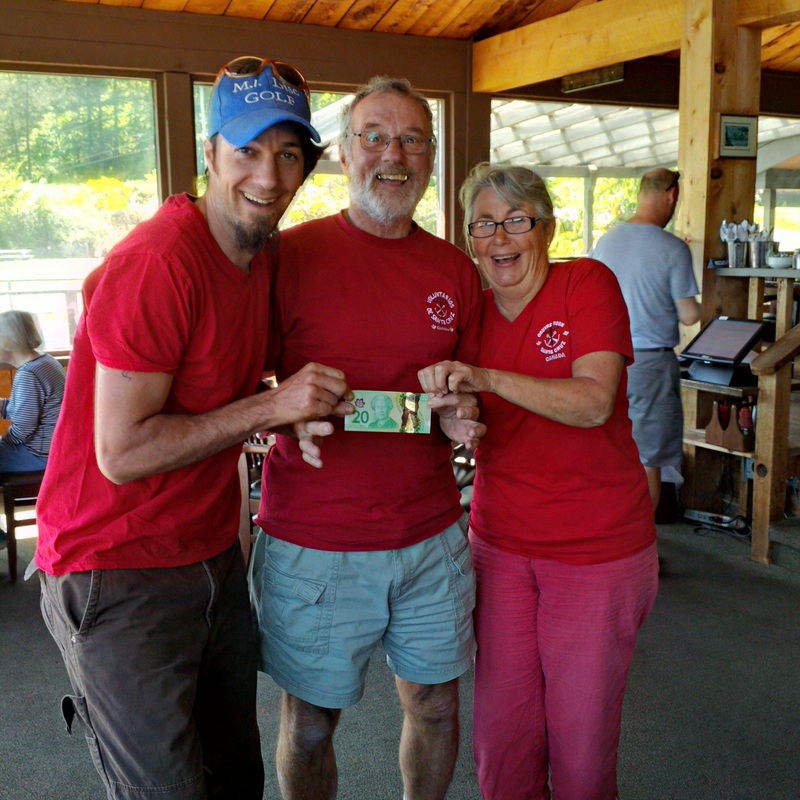 They also ..."
"Fran and I consider ourselves new members of the Association of Mayne Island Boaters having attended last year's picnic . . ."
"Great time was had by all! Just enough wind to move us along but not quite enough to get scary for the uninitiated sailors. 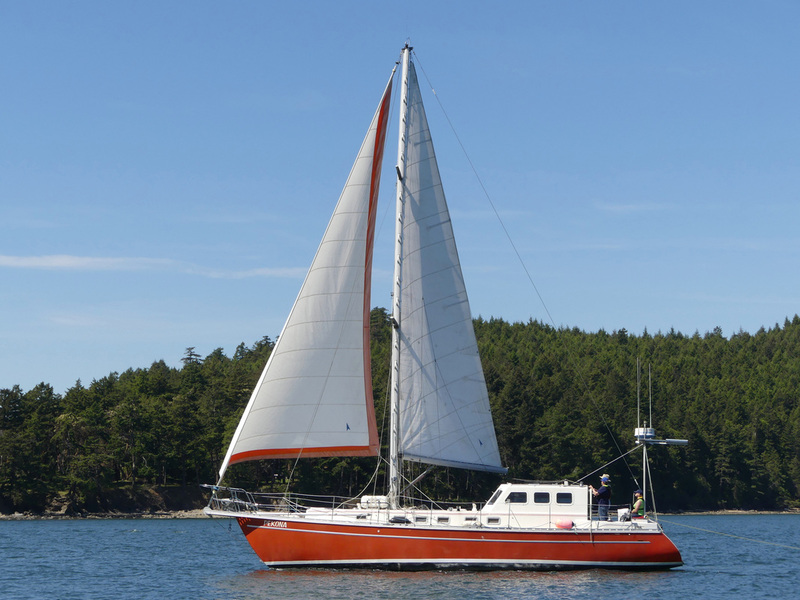 We had a mix of experience on board, blue water sailors with Leanne and Henry, power boat fishers with Jim and Darlene. 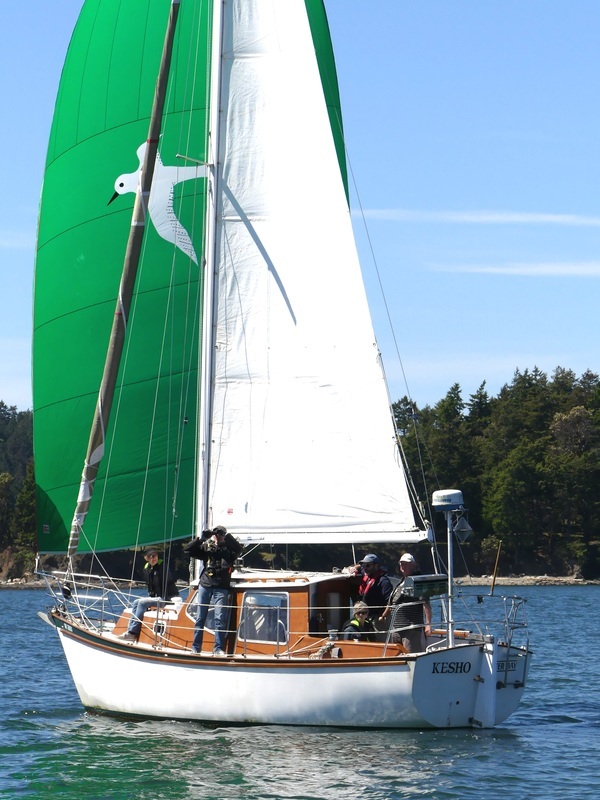 It was a real treat to put up the asym (Drifter, Gennaker, Big Green Beast) as we screamed across the finish line. Filling up two large tables in the pub was an economic boom to the economy of Pender, nice to have a marina and pub combined, what a novel concept! Looking forward to next year already, perhaps with a cleaner bottom, after all, one can only eat so much macaroni and cheese! Thanks for the pictures, they were great." Rumour has it that Brian has a secret weapon (another boat) that could give Toon Town a real race next year? "We mis-judged the starting signals and quickly got behind, trying to catch up for most of the race. Helmsman Dave did a great job, as did Bernard & Kevin trimming the sails. We finally caught up to Callisto on the downward leg with the wind aft of us. So wing on wing we went, only we didn't have a whisker pole. No problem... out came the boat hook with Cliff & Kevin taking turns holding out the jib. Unfortunately for us, Callisto had a better angle, having the wind on a broad reach, and they accelerated past us to the finish line. C'est la vie! P.S. Anyone have a whisker pole for sale?" View photo gallery by Allen Slade here.